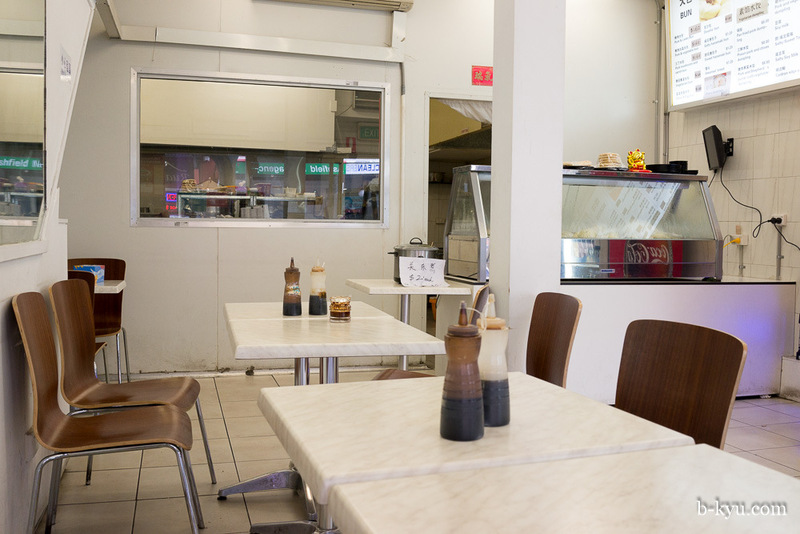 The humble Formica table restaurant is a rare breed in Sydney these days, but some fine specimens are still around, like Yummy Nest in Ashfield. There's a change of guard happening in Ashfield. Besides the multitude of places with 'Shanghai' in the name, the building of new large scale apartment blocks is set to change the feel of Liverpool Road. There will be a load of new places opening in the next few years when these are finished. The restaurants are starting to get a little flasher but some old school goodness persists. Yummy Nest was New Taste Dim Sim not so long ago, we're pleased it stayed low key. Whoops- we missed part of the menu - but you get the drift - good honest, simple food - buns, dumplings, noodles, wontons and congee - the very building blocks of life, and Shawn's belly. 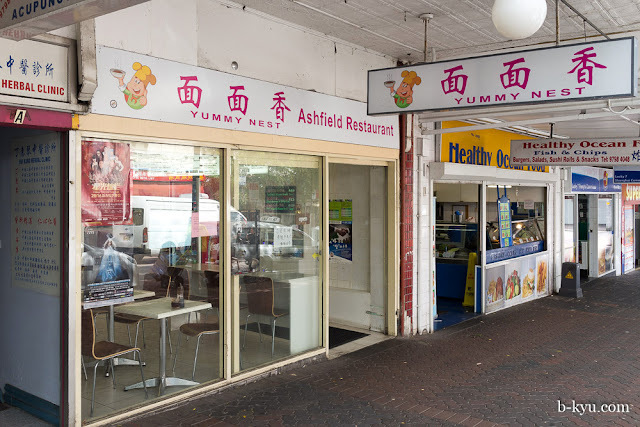 Over our visits we noticed a real varied crowd in the place: Chinese families getting a cheap Sunday lunch, young couples on a shopping break, skippy families filling their kids up on dumplings, twenty something blokey-blokes getting a quick face stuffer on the way to the pub. It's the perfect joint to have near a train station. 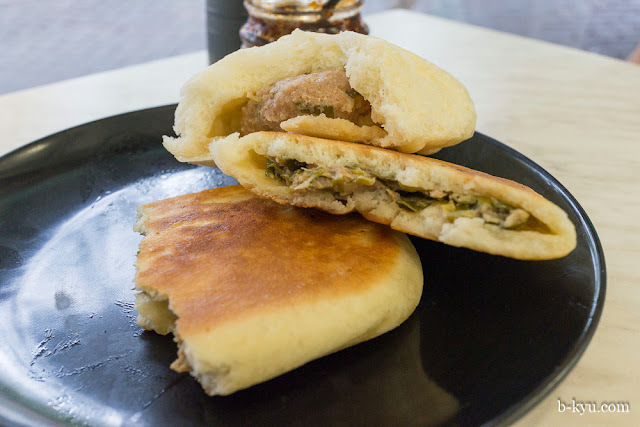 Salty hanamaki bun - $1.60. 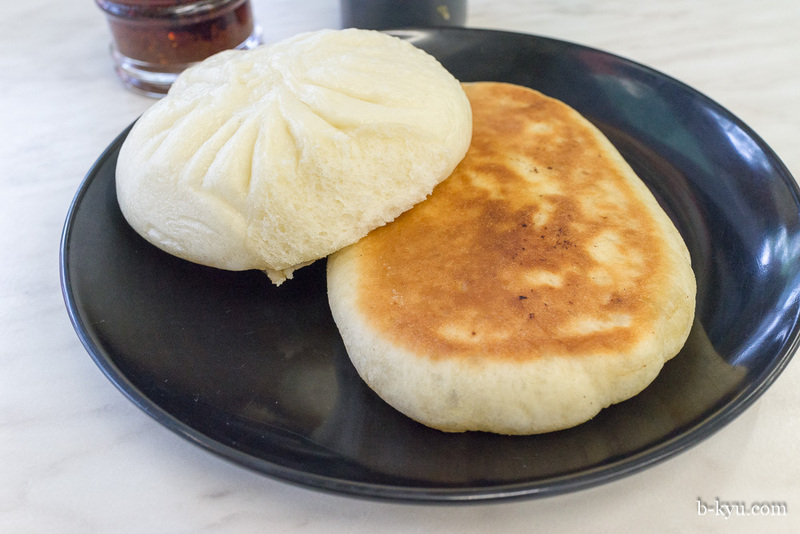 A super fresh big steamed bready bun with a little shallot for flavour. 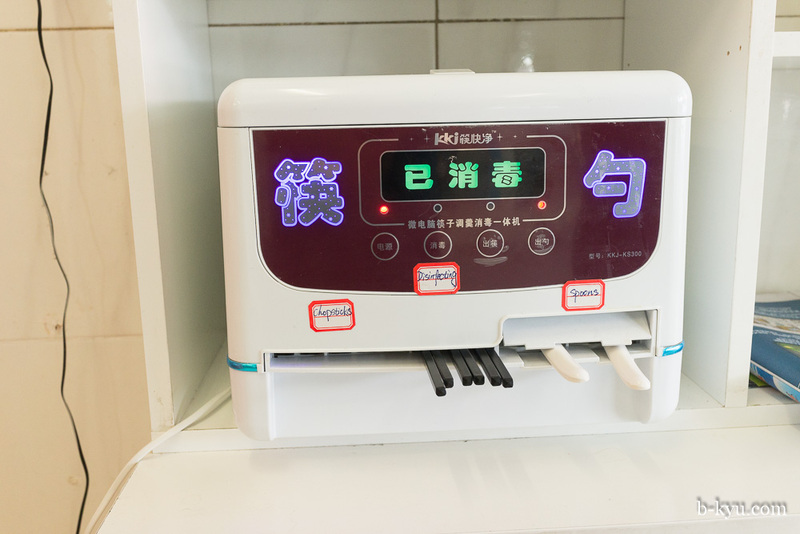 This could be straight off the streets of China. 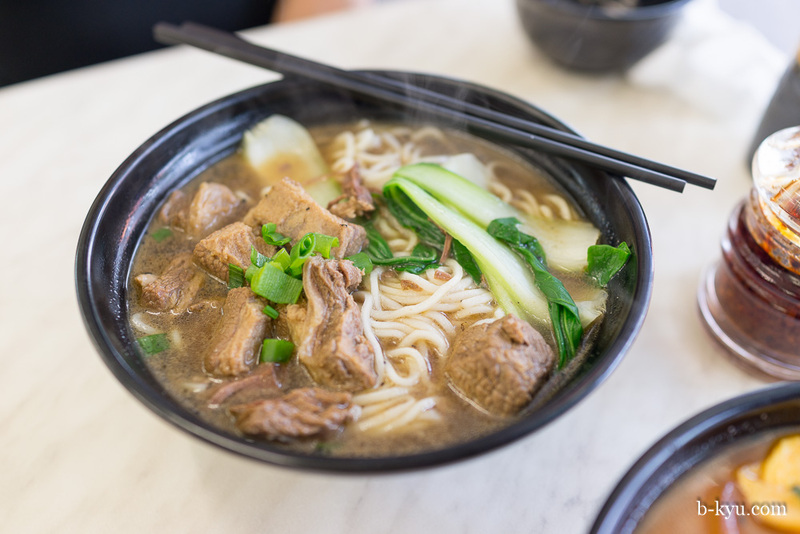 Beef brisket noodle soup - $9.80. This is eyebrow raisingly good - the broth is meaty yet clean in flavour, it tastes like liquid brisket. 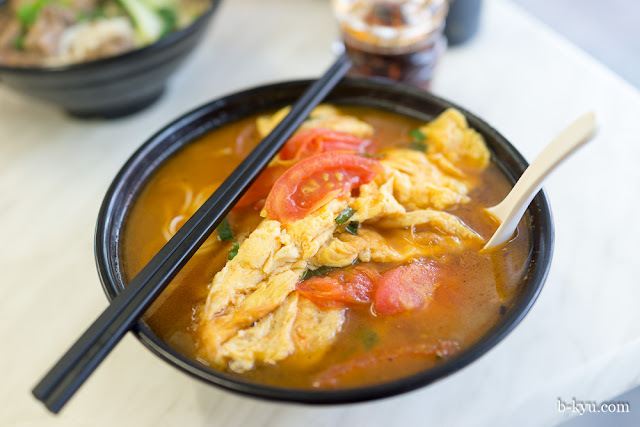 Tomato and egg noodle soup - $9.80. A homespun classic, the broth is tomato-y and sweet, the egg is kinda half scrambled, half omelette. We have a steamed pork bun bun and pan fried pork'n' chive bun. 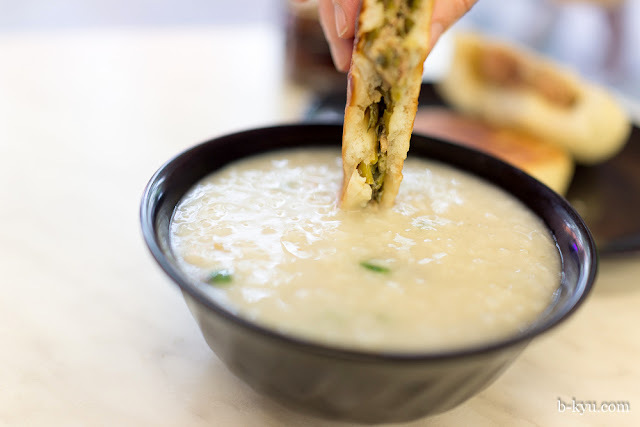 We saw a super tops auntie dunking the buns into congee, we have to do the same. Recommended. Pork and egg congee is a bargain at $4.20, plain congee is only $2. 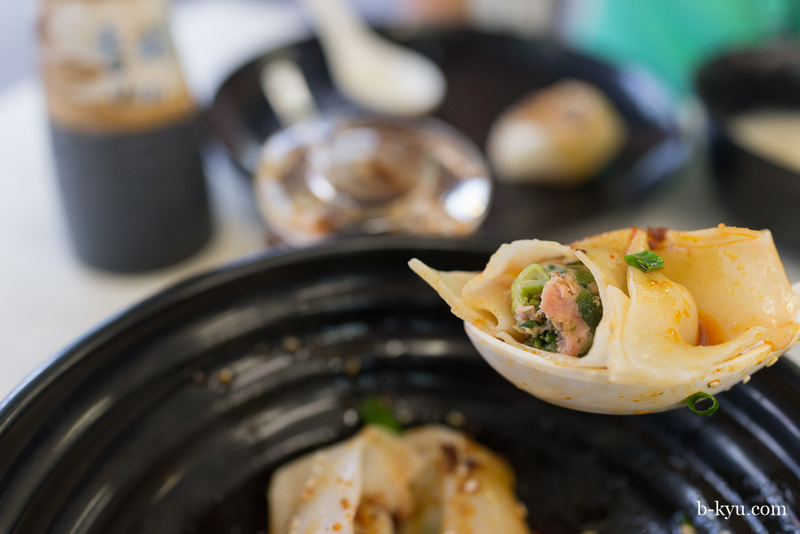 From the specials menu we order meat dumplings with spicy sauce ($8.90) because we have no idea what it is. It turns out to be an old favourite, steamed wontons doused with chili oil. 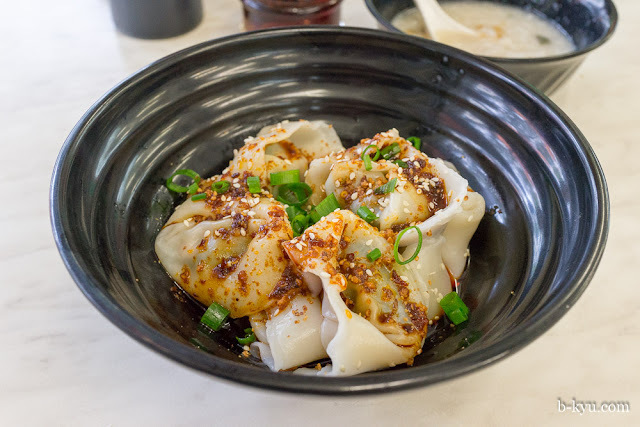 The wontons are excellent, toothsome with a lively filling, and shaped like tortellini. Alison insists on a picture of the cutlery vendo which steralises your face feeding implements. The nice lady worked this for us. Yummy Nest is at 7 Hercules Street, Ashfield, near the train station. Next door at Healthy Ocean you can buy a salt and pepper chicken wing for a buck. Bargain. I could so so eat all of that right now!! 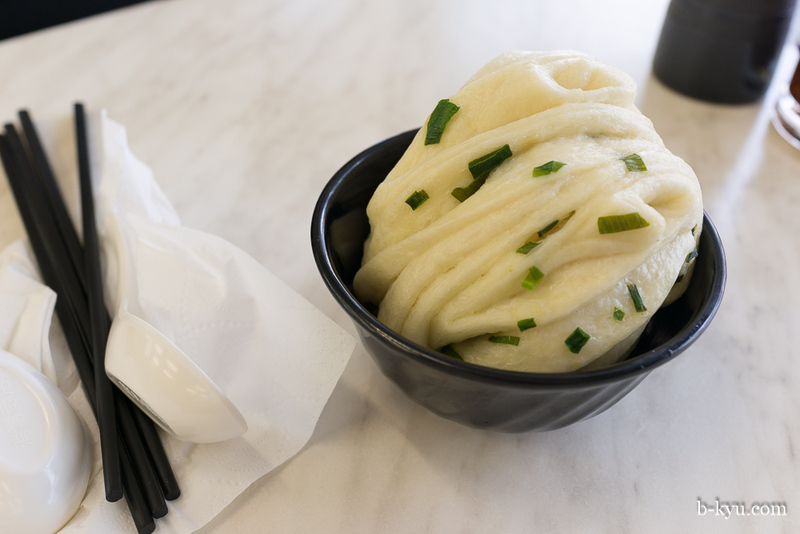 The noodles, the buns, the congee, the dumplings! !